Record Bird version 1.3 is now available on the iOS App Store, adding Apple Music integration, alongside previous support for Spotify and Facebook. By granting access, Record Bird can scan artists in a user's library from all three services, automatically adding them to a list of followed artists. 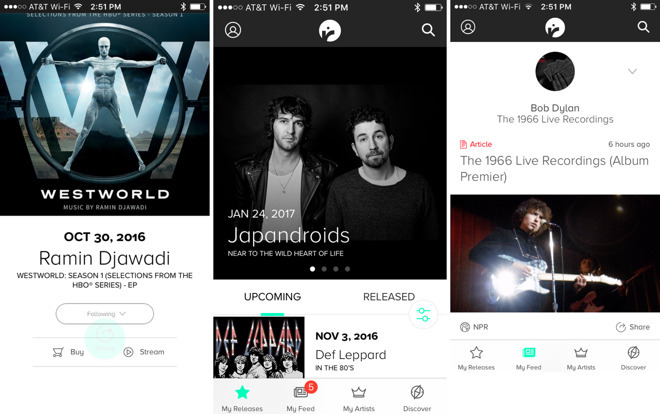 When albums release, the app offers quick links for streaming via Apple Music, or purchasing via iTunes. Integration with the iOS Music app also supports users who purchase music, rather than users who subscribe to Apple Music. New albums are presented on the main "My Releases" pane in two tabs: Upcoming, and Released. Here, users can scroll to see what just came out, or what may be upcoming. Tracklists, news, videos, and other relevant information can be found for both upcoming and new releases. 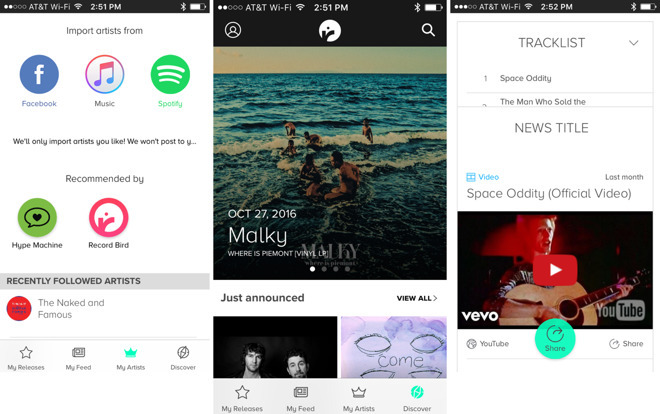 The app also includes a "Discover" pane that allows users to broaden their musical tastes and hear new artists recommended based on their listening habits. Record Bird is a free download from the App Store that's 74.8 megabytes in size. It requires iOS 8.0 or later.